It’s not unusual for lawyers to try their hand at writing fiction – just look at Scott Turow and John Grisham, who together popularized an entire legal thriller genre. But while these novelists used their legal expertise to craft gripping courtroom dramas, two Northwestern Law faculty members with novels out now are telling stories that veer far outside of their usual lesson plans. 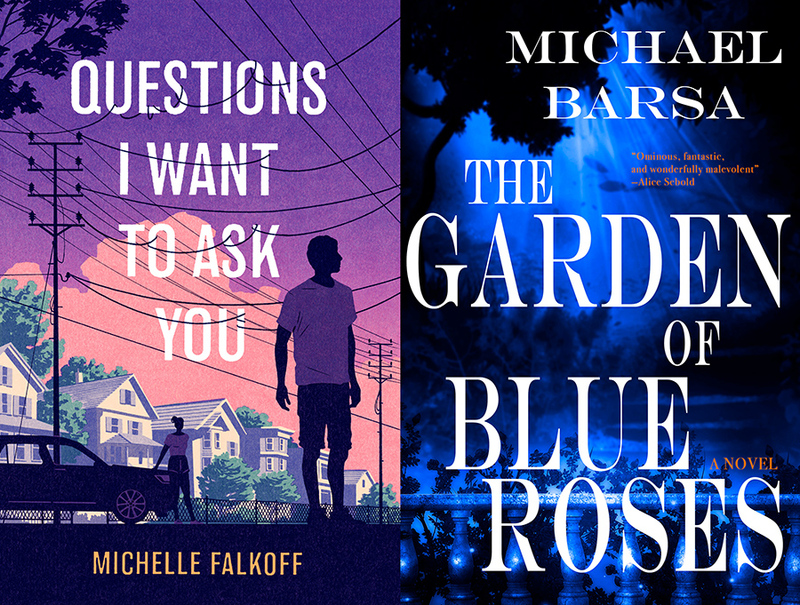 Michael Barsa’s The Garden of Blue Roses is a gothic psychological thriller, while Michelle Falkoff’s Questions I Want To Ask You is her third foray into Young Adult fiction. The authors sat down to discuss their latest books, how they balance their legal work and writing, and the one skill that all lawyers – and all novelists – need. Professor Barsa, you teach Environmental Law. What inspired you to write a book about something so entirely different than your area of legal expertise? 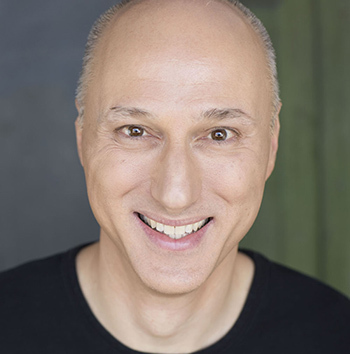 Michael Barsa: On the surface, the subject matter seems totally different. Except, what I’ve always loved about gothic novels is how they deal with nature. In the work of Nathaniel Hawthorne, who is one of the influences of this book, there’s always something mysterious and dark about nature – it’s where evil lurks. And then you have the English gothic novels which have these really lush descriptions of nature. In my book there’s a gardener who shows up and wants to make everything beautiful and rational, and the narrator sort of pushes back on that. There’s something about the dark mystery of the woods that he wants to preserve. So the preservation of nature is an overlapping theme between your legal work and your fiction? MB: It is, but at the same time, environmental law has gotten so technical and technocratic – there’s a huge statute book and it’s all about rules and technology and science. That’s all useful and necessary in its way, but I think what the environmental movement lacks, or what it leaves behind, is the notion of sublime mystery. The romanticism. That’s something I think about a lot, so perhaps this book is a little bit of an expression of my love of nature. And Professor Falkoff, you teach Communication and Legal Reasoning, which is obviously quite different from Young Adult fiction. Is there an overlap in what you teach and the novels you write? Michelle Falkoff: The link for me is a little more tenuous but I’ve noticed that – not on purpose – the novels I write have a tendency to be driven by people keeping secrets from one another or being unable to communicate about things that are hard. I’m interested in people who refuse to have conversations that might save them, and in the kinds of secrets people hide from each other for what they believe to be good reasons, but they have long-term fallout. In my head, that’s sort of a rule-breaking enterprise. Which is to say, if people organized their lives by certain principles or rules, they would have better relationships and better communication and things would be clear and simple and understandable – and that’s what I’m trying to teach my students. I want them to understand how clear communication helps lawyers be more effective. In my books, I’m dealing with the fallout of people who can’t handle that in their day-to-day lives. It’s not a strict one-to-one comparison, but there’s a relationship there. Both of you started your careers as practicing lawyers. Given the time demands on a young attorney, how did you make time for fiction writing? MB: When I started working on this book I was working as a full-time lawyer in a very stressful and demanding job at a firm in Los Angeles where they just threw you in. There was no hand holding. I would come home in the evening, rather late, and if I could write one good sentence before collapsing and going to sleep I thought the day was a victory. I worked like that for the better part of two years until finally I had something that resembled a manuscript. MF: When I was in practice it was tough – I felt like I was getting far away from my writing, so I started taking fiction writing classes. I worked in Palo Alto, so I took classes at Stanford and the very first class I took was with someone who had been a lawyer and had quit to go back to grad school for fiction writing. It was mind-blowing to take a class from him, because he talked about writing in a totally different way that spoke to my lawyer heart. Before taking his class, I had always thought writing was a dream that was never going to happen for me because practical me would never do something so impractical as to waste time writing. But he talked about writing like a job – you practice, you improve. I used to joke that you had to have the lightning bolt of genius to write or it wasn’t worth it, and I didn’t have it. This professor convinced me that you didn’t need the muse to strike you in order to be a writer, and that changed everything. It seems like there are a lot of lawyers who are interested in creative writing. What is it about a person who wants to be a lawyer that might also make them inclined to write fiction? MB: Lawyers deal with the written word every single day — a lawyer is a writer, so it’s not surprising to me that a person who likes to write would go into law, or that a person who likes to write as a lawyer might also like to write other things. It can be hard to make a living as a fiction writer, so I think a lot of people from the humanities gravitate to law because it’s something that is interesting to do with that same skill. MF: Lawyers are often very practical people and being a writer is a really impractical thing to do. There are very few people who work solely as writers to make a living and aren’t subsidized by a person or a job. I get a lot of students who say, “I want to be a writer, I don’t know if I want to be a lawyer,” and I say “you don’t have to pick, and you probably shouldn’t.” I feel like we’re so lucky to have found a profession where we can commit ourselves to our students but also have some time to get our writing done. MB: My vision going into law school was that I wanted a job that would give me an interesting lens on the world, but that I could also balance with writing. I knew that would be hard, and there were months at a time when I didn’t have time for much besides work, but my end goal never changed. It has taken me a while to get there but I feel like I’ve been true to that. So whenever my students ask me not just about writing but about their lives and where they should go and what they should do, my overarching message is always to be true to yourself. What is it that you want? And what if they want to be a lawyer and a novelist, like you? What is your advice? MF: Keep writing! It’s going to take a long time but keep doing it and don’t get discouraged. Just as you don’t walk into law school as a good lawyer – you need to train your brain – the same is true for writing novels. You have to be patient and you have to be persistent. Of all the people I went to grad school with when I got my MFA in fiction writing, the people who are the most successful as writers are not necessarily the ones who were the most talented; they are the ones who kept writing. Persistence is massive. MB: You have to write so much bad stuff to get to something that, at the end of the day, is maybe halfway decent, and at the same time the hardest thing is that you have to be hopeful enough at the beginning of the day to sit down and do it all over again. How does being a lawyer make someone a better novelist? And how does being a novelist make someone a better lawyer? MF: When I’m teaching my students about clarity and audience and focus, I explain that when you are writing for lawyers you are looking to do things in a very particular way. And when you are writing fiction, you are doing it another way. But in both scenarios, you are ultimately always trying to persuade somebody of something. Once you understand that, it governs a lot of the choices you make. Sure, the type of writing and the avenues for creativity are different in law versus fiction, but the same kinds of conversations about the purpose of your writing are relevant in each one. Every sentence has to have a job. MB: I also want to talk about empathy. The interesting thing about fiction writing is that you learn to see the world from the perspective of different characters. In my book, the narrator is a little bit off, so I had to train myself to see the world from his perspective. That skill is one that is very underappreciated in the law. The best lawyers are able to see a case not only from their client’s perspective but also from the other side’s perspective. If you can do that, you are much more effective. I’ve known a lot of lawyers whom I call “bulldog lawyers” – we are good guys, they are bad guys, we are right, they are wrong – and they are completely blinded to what the other side might say. The art of imagination and imaginative empathy that you train yourself in as a novelist is something that is incredibly important for all lawyers. 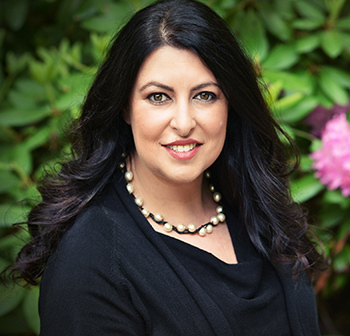 Professors Barsa and Falkoff will be in conversation at Centuries & Sleuths Bookstore in Forest Park on Saturday, June 23, discussing "The Mysteries of Family Secrets." This event is free and open to the public.